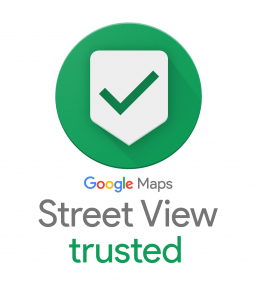 Plush Global Media is a Google Trusted Agency, meaning Google approves of the quality of our virtual tours and allows us to add your business’ virtual tour straight into the streetview map of Google. Plush Global Media can also assist in the verification of your business account; so if you want your business to appear on Google Maps, but you don’t want to wait up to 4 weeks for the verification process, we are the ones to call. Plush Global Media can verify your business usually within 24 hours. With a Plush Global Media Virtual tour, your business will be found on Google Maps, Google Streetview and Google Business view. Your Google+ account will have a “see inside” feature and you will be able to add this to your website, Facebook and various other platforms. In some cases, for example a large hotel or conference hall, exposition or themed restaurant, a virtual tour comes out better in a private virtual tour for your website, and display a simple virtual tour on Google. Below is a great example of such a project. Private Virtual Tours do not show in Google Maps, but they can be completely personalised as you can see in the below example. It can have your business logo, clickthrough to pages within your website and personal colors to match your website.